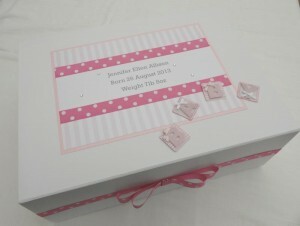 Treasure all of those milestone moments in a beautiful, personalised keepsake box Made by Millie and Me. 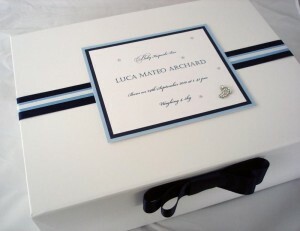 Keepsake boxes are a great gift for someone who has just had their baby; somewhere special to keep all those special things. 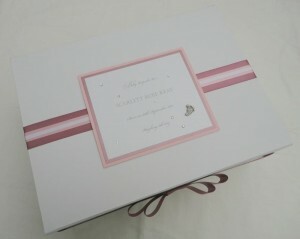 My Keepsake boxes are larger than most, measuring approx 400mm x 300mm x 150mm, and they close with a magnetic fastener. 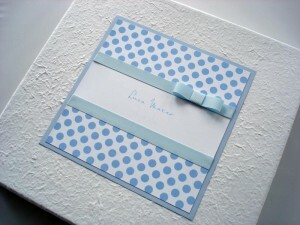 The box can be white or cream, depending on the design. 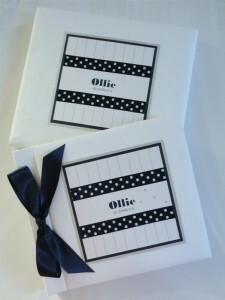 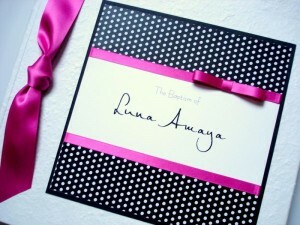 And keep those early memories captured on film in a beautiful, boxed, personalised photo album.